December 19, 2010 - The International Air Transport Association (IATA) revised its industry outlook for 2010 to a net profit of $15.1 billion (up from the $8.9 billion forecast in September). Similarly the Association revised upwards its projections for 2011 to a net industry profit of $9.1 billion (up from the $5.3 billion forecast in September). Net margins remain weak at 2.7% for 2010 and falling to 1.5% in 2011. ?Our profit projections increased for both 2010 and 2011 based on an exceptionally strong third quarter performance. But despite higher profit projections, we still see the recovery pausing next year after a strong post-recession rebound. 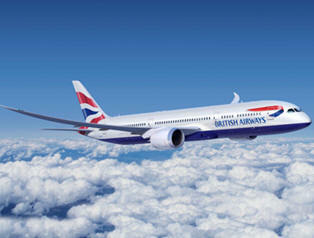 And the two-speed nature of the recovery is unchanged with European airlines continuing to underperform other regions,? said Giovanni Bisignani, IATA?s Director General and CEO. Bisignani also characterized the improvements in terms of profit margins, which continue to disappoint. ?Margins remain pathetic. With a 2.7% net margin in 2010 shrinking to 1.5% in 2011, we are nowhere near covering our cost of capital. The industry is fragile and balancing on a knife edge. Any shock could stunt the recovery, as we are seeing with the results of new or increased taxation on airlines and travelers in Europe,? said Bisignani. Shifts in the industry forecasts can appear dramatic in absolute numbers. It is important to relate them to the size of the industry to understand their significance. The $6.2 billion increase in IATA?s projection for the 2010 net profit (compared to the September forecast) is equal to just 1.1% of the industry?s projected $565 billion in revenues. ?Any increase in profits is a welcome step in the right direction. But the fact that we can increase our profit forecast by 70% and still be left with a net margin of just 2.7% shows just how far this industry has to go to achieve a normal level of profitability,? said Bisignani. 2010 Forecast - Major drivers for the improved 2010 forecast are Passenger traffic growth of 8.9% (compared to 7.7% previously forecast), Strong passenger yield growth of 7.3% (unchanged from the previous forecast), Revenue growth to $565 billion (an improvement of $5 billion on the previous forecast) and An average annual oil price in line with previously projected $79 per barrel (Brent). ?The third quarter of 2010 was exceptionally positive in terms of passenger traffic volume. Airlines met increased demand by utilizing their fleets more intensely. Fixed costs remained constant, passenger yields firmed and the increased revenues went almost directly to the bottom line,? said Bisignani. In sharp contrast to improved conditions for air travel, the prospects for air cargo deteriorated from the September forecast. Demand is now expected to grow by 18.5% (compared to the previously forecast 19.8%), limiting yield growth to 7.0% (below the previously forecast 7.9%). ?The post-recession rebound drove a rapid expansion for cargo earlier in the year but it ran out of steam by the third quarter. Since May, overall volumes fell by 5%. This will only pick-up when consumers have bought the products that are already on the shelves,? said Bisignani. 2011 Forecast - ?The recovery cycle will pause in 2011. Although the $9.1 billion profit projection for 2011 is better than we had previously forecast, next year the industry will face tougher conditions than what we are experiencing today,? said Bisignani. The improvement compared to the previous forecast comes from , stronger traffic growth: Passenger and cargo demand is expected to grow by 5.2% and 5.5% respectively. This is better than the 4.9% and 5.3% previously forecast. Yield improvements: Yields are expected to grow by 0.5% for passenger traffic, an improvement on the flat growth previously forecast. Cargo yields are expected to remain flat, unchanged from the previous forecast. The operating environment will become more difficult because of increased Fuel Cost: For 2011, the average oil price is expected to increase to $84 per barrel, up from the $79 per barrel for 2010. This will increase fuel costs to 27% of operating costs (up from 26% in 2010). Slower GDP Growth: The 3.5% global GDP growth expected in 2010 will slow to 2.6% and taxation. Austerity measures, particularly in Europe, are expected to dampen demand. Significantly increased taxation in some European countries (Germany, Austria, and the UK) is increasing the cost of travel by between 3% and 5%--significant enough to discourage travel and slow the industry recovery. All regions are following the global trend of reduced profitability in 2011 compared to 2010. North American carriers will see a 2010 profit of $5.1 billion decrease to $3.2 billion in 2011. Since 2007, US carriers have improved profitability successfully by adjusting capacity ahead of demand changes. The weak US economic recovery will limit demand increases to 3.7% (below the global average of 5.3%) while capacity will increase by 4.6%, driving the decrease in profitability. Asia-Pacific carriers will post the largest profit in 2010 at $7.7 billion, decreasing to $4.6 billion in 2011. It remains the most profitable region of the world for airlines based on strong GDP growth (outside of Japan) of 6.6%, led by China. The 6.9% demand growth for 2011 is above the global average, but below the expected capacity expansion of 7.8%. The region?s carriers are particularly exposed to fluctuations in cargo markets. While this accelerated improvements in 2010, the region?s carriers will also be disproportionately affected by the expected slowdown in cargo next year. Latin American carriers will see their $1.2 billion profit in 2010 cut to $700 million in 2011. Demand growth of 6.3% in 2011 will be outstripped by a capacity expansion of 7.2%. Consolidation within the region and a robust regional economy, led by Brazil, will continue to support solid and profitable growth among the region?s leading carriers. African carriers will see 2010 profits of $100 million move to break-even in 2011. As with other regions, a capacity expansion of 6.4% in 2011 will outstrip demand growth of 5.5%. The region?s carriers continue to benefit from a commodity-led economic expansion that is fueling growth in both regional and long-haul markets.